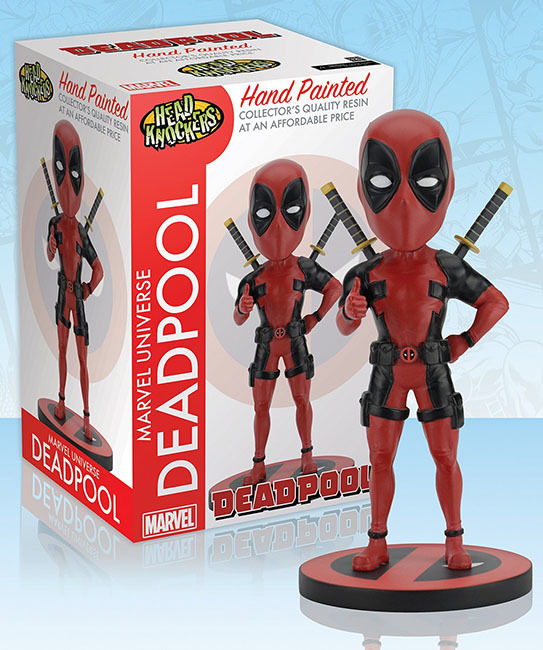 Add some head-bobbling fun to your shelf with Marvel’s Merc with the Mouth! Figure stands approximately 8” tall and is made of cold-cast resin that’s hand painted for amazing detail. Comes in collectible matte finish packaging with spot gloss.